Home » Blog » News » I,Q Two Final #41. 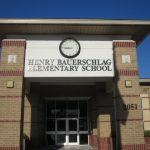 Bauerschlag & Wedgewood Elementary Schools in Texas. Up late, up early working on I,Q2. Sent off 200 page of the manuscript to my editor Judy Gitenstein so she can start her editing magic while I work on the ending. 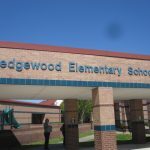 As soon as I hit the send button I was off to Bauershlag and Wedgewood Elementary Schools in League and Friendswood, Texas respectively. First day back after Spring Break! The Fourth and Fifth graders were great. Beautiful weather down here today. And now I’m back at the hotel, back to work on I,Q2. I enjoy your presentation about your life and your adventures about your books as well. You are very funny and adventurous. I hope you write even more fascinating books. I can’t wait until IQ2 comes out. ← I,Q Two Final #40. Flying to Texas. Writing Backwards.